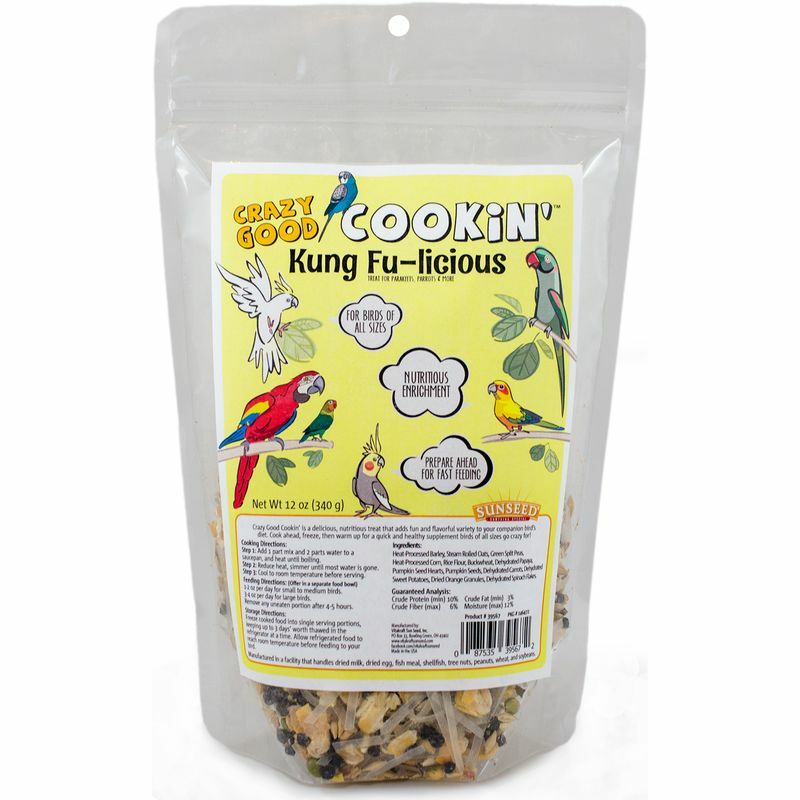 Try all FIVE varieties to find your bird's favorite! 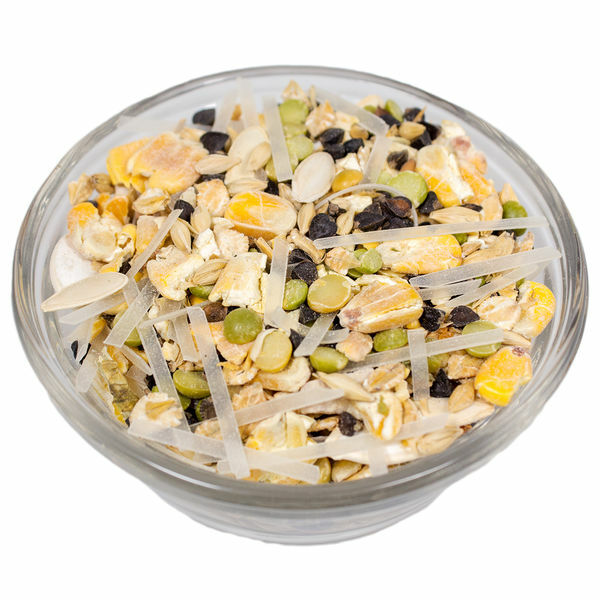 Heat-Processed Barley, Steam Rolled Oats, Green Split Peas, Heat-Processed Corn, Rice Flour, Buckwheat, Dehydrated Papaya, Pumpkin Seed Hearts, Pumpkin Seeds, Dehydrated Carrots, Dehydrated Sweet Potatoes, Dried Orange Granules, Dehydrated Spinach Flakes. 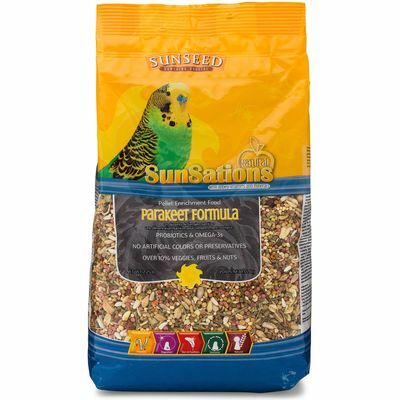 A natural diet with an amazing variety of grains, seeds, pellets, and specialty ingredients that your parakeet will love. 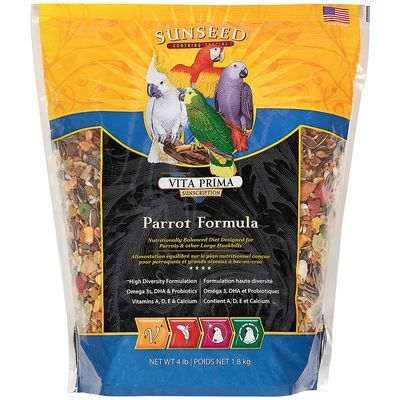 A high-variety blended diet for parrots with seeds, vegetables, tropical fruit, and fortified nutrients.